This is the first day of my families journey we are heading on the Oregon trail. It is a calm and sunny day as we come up to a river, our wagon leader finds a calm spot but there is a ferry a few feet up the river that you have to pay for. I decide to ford the river, it was very risky but worth it in the end because i was safe and didn't have to pay any money. Once pasted the river I decided to play a little tune on my piano. A native american approaches the wagon he gives us a choice to gamble or not and we decide to gamble. We gambled and won, It was a risky move but it all worked out in the end. We got $25 each and got to rest, After a long day it was well worth the gamble and the rest was much needed. Yesterday was a very long exiting day but its time for out wagon train to move on. A wagon in our train tips and they lose some not too important stuff. A Native American stops our train and asks for who has rifles, I however do not so our train got in trouble. Everyone in my train decides to hunt but I however do not hunt. Our wagon has to make a big decision but i had no say. After a not very exiting day our wagon gets to rest again. I fear for my family's life on this trail. I do not think everyone will make it and it scares me. We take a very ancient burial ground route and we decide to turn back for it is not safe. Good decision i want my whole family to make it or i will die trying. We god lost when we turn around. Kylies youngest son dies. We come up to a river and i have a big decision to make. I decide to ford the river and i make it through safely. We were trying to outrun some Native Americans and i got shot in the arm. Then we decide to take the longer trail for it is safer. We have to turn back and follow the other wagon trains. Then we take a rest after a long day of traveling. It seems that we are nearing the end of our journey to Oregon and i believe that my family is going to make it safely through. We just have 1 mountain to pass and it may be the end of our journey. I am so exited for my new life. I still find myself being more attached to my pianos then my family i want them to make it more then i want my family to make it. We are getting closer to the mountains and our scout says that there is continuous snowing and the snow pass may close up before we get there but it also could not. I fear that my journal entries may cut off as we are going to charge the passing that is closing. It looks as if we are going to make it. We arrived at the passage and it is closed, my wag group results to cannibalism. I have hidden from them i fear they will try to (Journal entries suddenly stop and there is blood on the page. Bakes, Caryl. 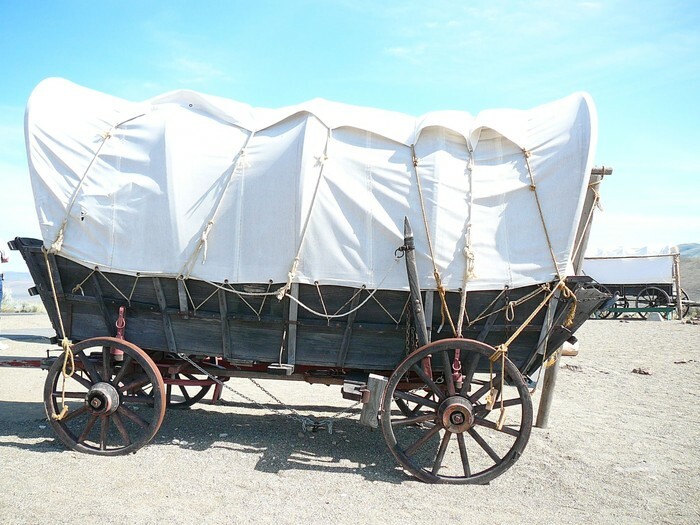 Oregon Trail Wagon. Digital image. Flikt. N.p., n.d. Web. 11 Mar. 2015. Oneil, Richard. 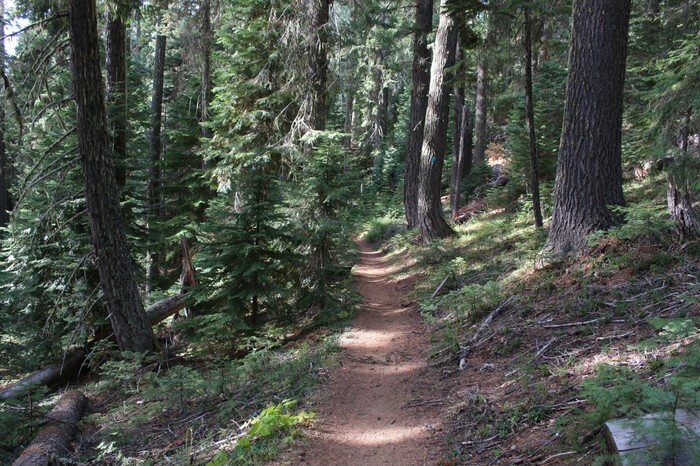 Trail near Lake. Digital image. N.p., n.d. Web. 11 Mar. 2015.